I recieved this product from KKCenterHk for review. I was suuuuper excited when I got it because it was just in time for SUMMER!! 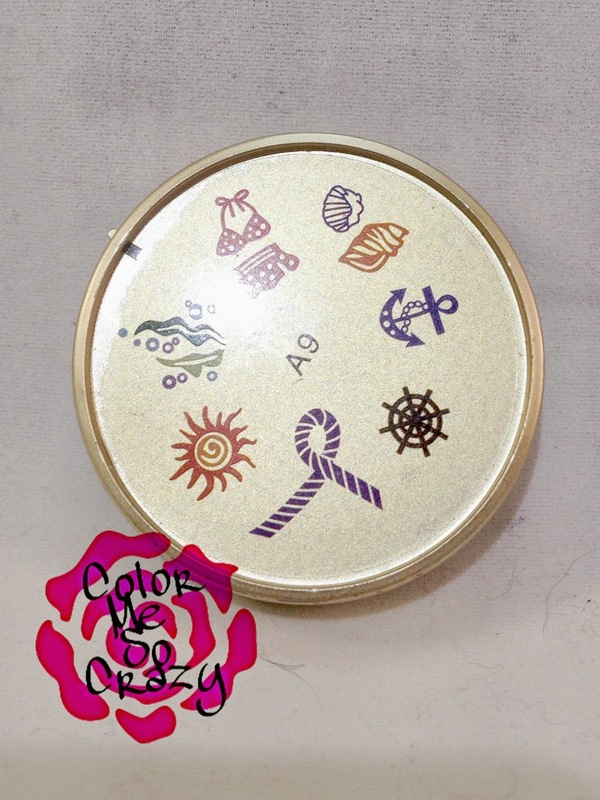 This stamper is the perfect summer theme. 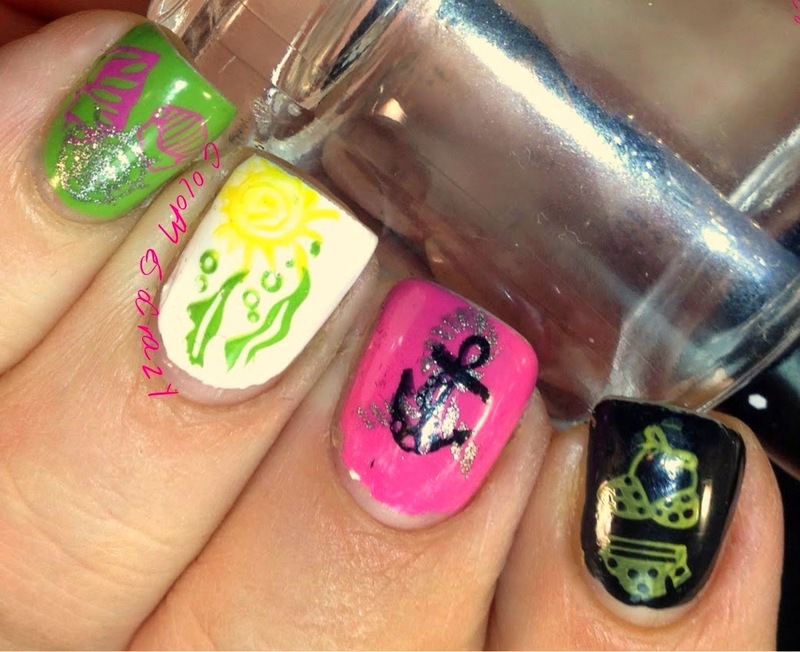 There are so many great designs on it for your summer nails. 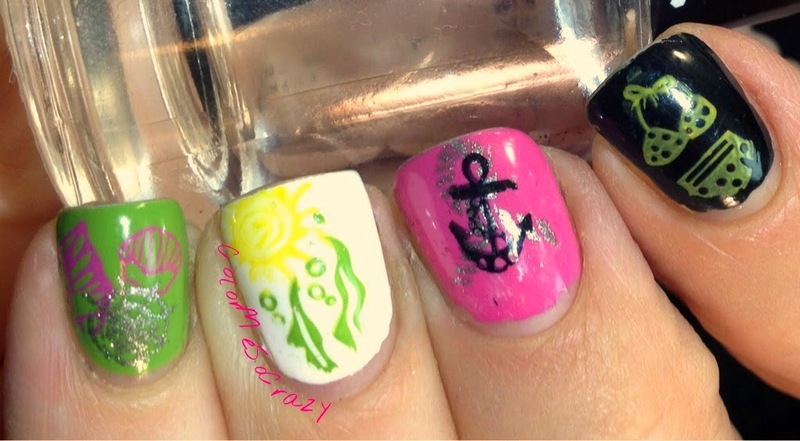 The designs I did below were featuring some of the new polishes from Zoyas Tickled Collection. If you like the designs in this review, please be sure to make your purchase HERE . 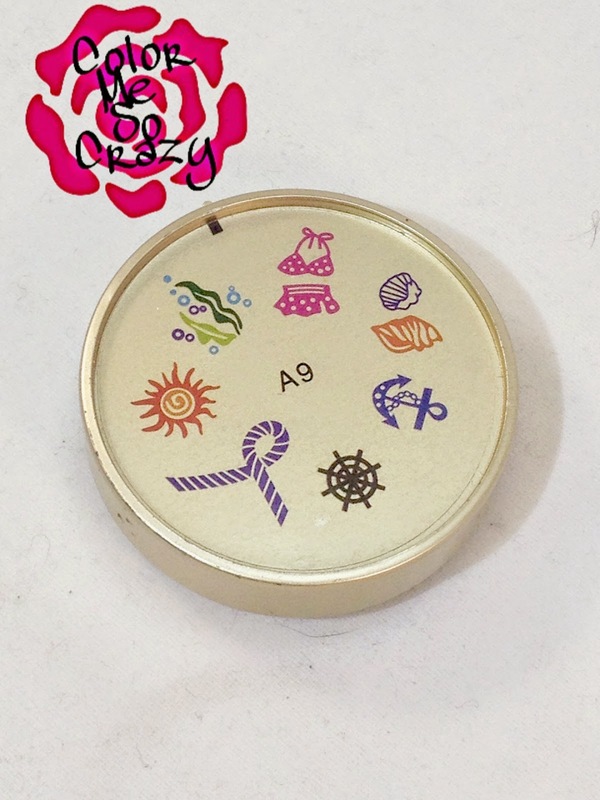 You can buy this stamper for only $3.50. I am also able to offer you a 10% off discount code. Enter colormesocrazy in the coupon code box. YOU ARE WELCOME!! 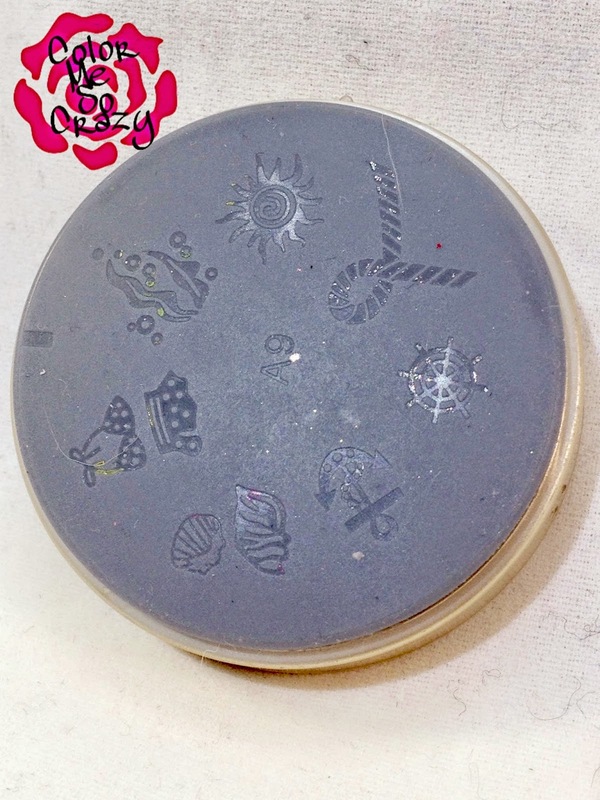 I have never used a rubber stamping plate before, so it took me a while and a little googling to figure out how. I did a little pictorial "how to" for you below. I must say, if all stamping plates were like this, I may fall in love. This was super easy to use and super easy to apply. All of the images transferred really easily and neatly. The images were clear and very visible on the plate and after the image was stamped. This is a great product for a really great price. Don't forget.... You can buy it HERE and it's only $3.50. I am also able to offer you a 10% off discount code. 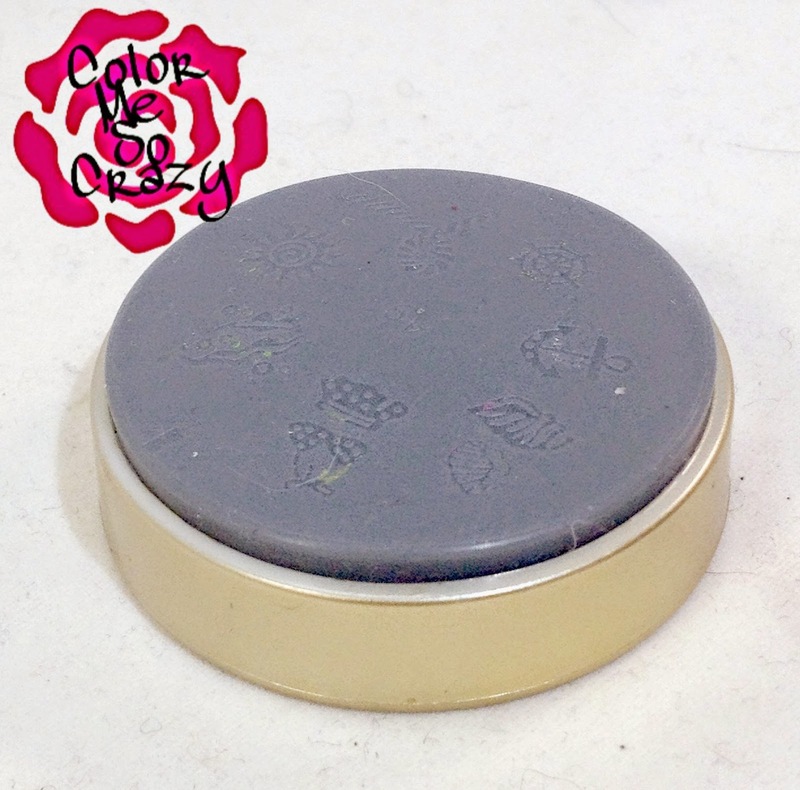 Enter colormesocrazy in the coupon code box, so be sure to use that.